Mobilize.Net, provider of leading modernization solutions and Syncfusion, the developer solutions company of choice, today announced an alliance to improve developer productivity by driving better business intelligence (BI) for modernized applications. With Syncfusion, developers can move beyond simply coding applications to delivering business innovation. Syncfusion’s Dashboard Platform can be easily added to Mobilize.Net modernized code to enable developers to view their apps and data in new and more intelligent ways. Developers can learn more about using Syncfusion Dashboard Platform and Mobilize modernization tools at https://www.mobilize.net/blog/syncfusion-and-webmap. Mobilize.Net accelerates and simplifies the transformation of software applications to .NET, web, mobile, and cloud platforms. Millions of developers have used Mobilize.Net technology to successfully modernize billions of lines of code. Mobilize.Net solutions enable customers to reduce risk, cost, and time while moving applications to the platforms businesses demand today. Mobilize.Net migration technology is Microsoft's chosen solution for Visual Studio and MSDN customers. The privately-held Mobilize.Net is based in Bellevue, WA, and is led by former Microsoft Corporate Vice President, Tom Button. For more information, please go to http://www.mobilize.net. Bellevue, WA – Mar 7, 2017 – Mobilize.Net today released updated versions of WebMAP, VB Upgrade Companion and Silverlight bridge for Microsoft Visual Studio 2017. In the latest updates, Mobilize products support Visual Studio 2017 project and solution files and are able to take advantage of the latest enhancements available for Visual Studio 2017. New releases of Mobilize products that support Microsoft Visual Studio can be found at http://www.mobilize.net/vs2017-modernization. Mobilize is also offering Visual Studio customers a limited time discount on WebMAP. Mobilize.Net helps companies move critical code to .NET, to the web, to mobile devices and to the cloud. Every day thousands of developers use Mobilize.Net modernization tools to transform important line-of-business applications from old systems to modern platforms. Mobilize.Net will live stream the Visual Studio 2017 event on its website at http://www.mobilize.net/visual-studio-2017-launch beginning at 8am Pacific Wednesday, March 7, 2017. As part of the Visual Studio 2017 launch, Microsoft is celebrating the 20th anniversary of Visual Studio in its #MyVSStory campaign. The Mobilize team including Tom Button, Dee Dee Walsh, Rick Olson, and John Browne were all original members of the Visual Studio team and played a significant role in championing the creation of the product. Mobilize has produced a series of videos and blogs. Mobilize.Net accelerates and simplifies the transformation of software applications to .NET, web, mobile, and cloud platforms. Millions of developers have used Mobilize.Net technology to successfully modernize billions of lines of code. Mobilize.Net solutions enable customers to reduce risk, cost, and time while moving applications to the platforms businesses demand today. Mobilize.Net migration technology is Microsoft's chosen solution for Visual Studio and MSDN customers. The privately-held Mobilize.Net is based in Bellevue, WA, and is led by former Microsoft Corporate Vice President, Tom Button. For more information, please go to www.mobilize.net. BELLEVUE, WA – Nov 1, 2016 – Mobilize.Net today announced that WebMAP 4.0, the industry’s leading tool for migrating Windows applications to the web, is available for immediate customer use. WebMAP 4.0 includes support for thousands of additional objects, properties, methods, events, and language features, dramatically decreasing the time, cost, and risk of converting Windows applications into web applications. In addition to the increased automation, WebMAP also improves output web application performance and generates code that is even easier to read and maintain. 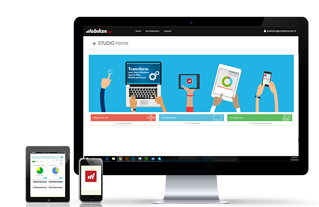 Customers can access WebMAP at studio.mobilize.net. Increased automation: Up to 97% automated migration is possible via support for thousands of additional third party and Microsoft components and their associated properties, methods, and events. Mobilize also added support for many new language features in the most popular Windows programming languages. WebMAP 4.0 accelerates app migration from Windows to web, saving months or years of unnecessary manual work. Faster code. WebMAP 4.0 produces code that is faster – both on the client and server. The tool radically reduces time needed for message serialization and state synchronization through Mobilize.Net’s new performance optimized implementation of the industry standard MVC architecture. The resulting web apps load faster and respond quicker to user input, like clicking a button or populating a data-bound control that requires a server action. For example, a data grid that required over 3 seconds to load 19k items in WebMAP 3 now loads 20 times faster – just 152 milliseconds. These controls are common in Windows desktop apps and have previously frustrated attempts of developers to move them to the web with similar user experience. Readable and maintainable code. WebMAP 4.0 follows standard architectural patterns with which today’s developers are familiar. The generated code is simplified, well commented, and pulls forward the same mnemonic variable names and comments developers will recognize from the original application, and comes with full source code enabling easy updates in the future to add features and support new technologies. To date, more than 30 million lines of code have been migrated using WebMAP. With WebMAP’s ability to get smarter with each migration, the tool has better automation than ever before. Customers who have made large investments in legacy desktop technologies such as Visual Basic, C#, PowerBuilder, Silverlight, .NET and others need not abandon the valuable IP in that source code. WebMAP 4.0 provides a quick and cost-effective path forward for legacy code to move to the modern world of web, mobile and cloud. Based on tests with real-world migration projects ranging from 100KLoC to over 1M lines of code.